Munk's relevance for the field of global warming lies in his work on the acoustic tomography of the ocean that he developed from the 1970s through to the 1990s. Munk had a leading role in the development of a new method for tracing long-term changes in climate linked with global warming. Munk came to the conclusion that important information about the ocean's large-scale structure could be gathered by studying the sound propagation patterns and the time it takes for sound to travel through the oceans. He conceived the Heard Island Experiment, where acoustic signals were sent out by instruments lowered 492 ft. (150 m.) underwater near the remote island in the southern Indian Ocean. During four days in January 1991, "the sound heard around the world" experiment took place. 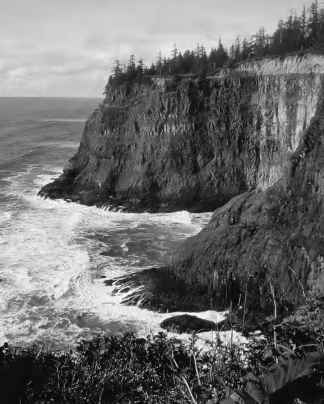 Signals were sent from Heard Island, on the east and west coasts of the United States, as well as at many other stations around the world. These researches led to the Acoustic Thermometry of Ocean Climate (ATOC) project. ATOC was based on the idea to send sound signals from underwater speakers and determine how long it takes them to reach receivers anchored to the floor of the Pacific thousands of miles away. Since sound travels faster in warmer than in cooler water, a long-term series of tests that showed increasingly faster travel periods would be the evidence that the ocean is warming.